With Liquid Nitrogen Generators, you can “produce” your own liquid nitrogen (LN2) instead of purchasing, which offers great convenience, stable LN2 supply, and many other advantages. By connecting our Liquid Nitrogen Generator directly to your LN2-cooled cryogenic storage, continuous supply of LN2 will be made possible. In addition, with backup power supply, LN2 supply continues even in case of power outage caused by natural disaster. This makes possible to cryopreserve important biological samples in a stable and reliable manner. Our Liquid Nitrogen Generators are now widely used to cool cryogenic storage for IPS cells, tissues, vaccines, or fertilized eggs of livestock. All you need is power supply. By turning to ECO mode, the operation is optimized according to the LN2 level in the internal dewar to reduce power consumption. This helps provide reliable cooling even in places where power supply is not stable or in remote islands. 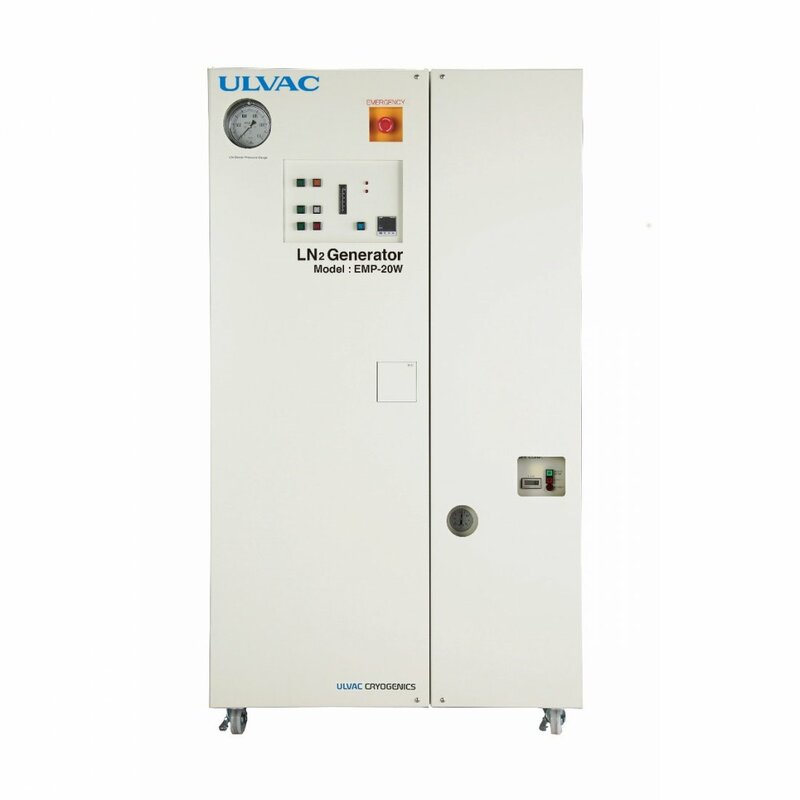 Our Liquid Nitrogen Generators provide stable supply of liquid nitrogen. This eliminates the burden of monitoring LN2 every day. 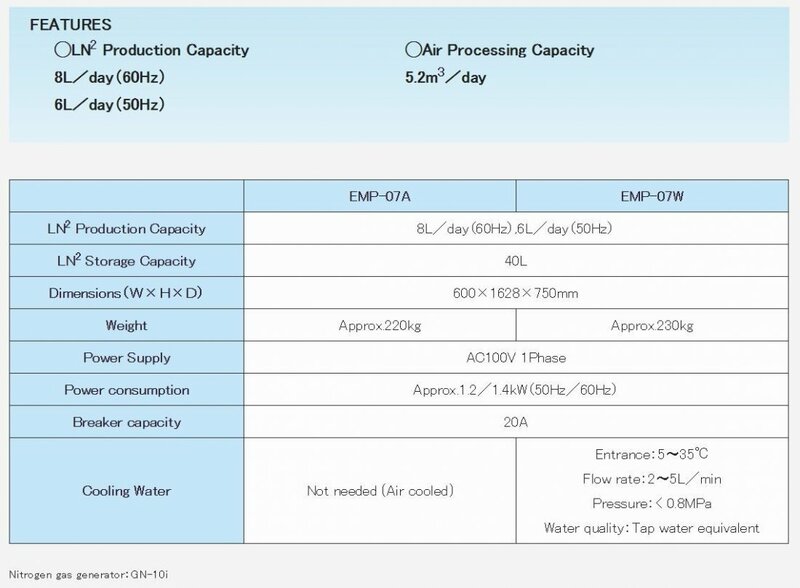 LN2 production can be continued using backup power supply in case of power outage. This offers stable cooling of important biological samples in research institutions. A lot of work is required to manage safe transportation of LN2 inside research facilities. By introducing our Liquid Nitrogen Generator, you will be freed from inconveniences along with managing the stock and delivery of LN2 bottles, and safety level is improved as well. Cryotherapy (Cryo Sauna), Computer cooling, Semiconductor manufacturing, Ice-cream or molecular gastronomy cooking, Oxidization prevention of beverages or foods, etc.